This fun quiz was the most popular item this year. See if you remember “where Ruby ends and Rails starts.” Neither Matz nor DHH got 10 out of 10. A quick, example-driven overview of numerous improvements and new features in Ruby 2.4, including Integer#digits, File.empty? and faster regex matching. Rails 5.0 came out this year (5.0.1 just this week) including Action Cable, API mode, and Turbolinks 5. DHH also did a fantastic 20 minute tour video. 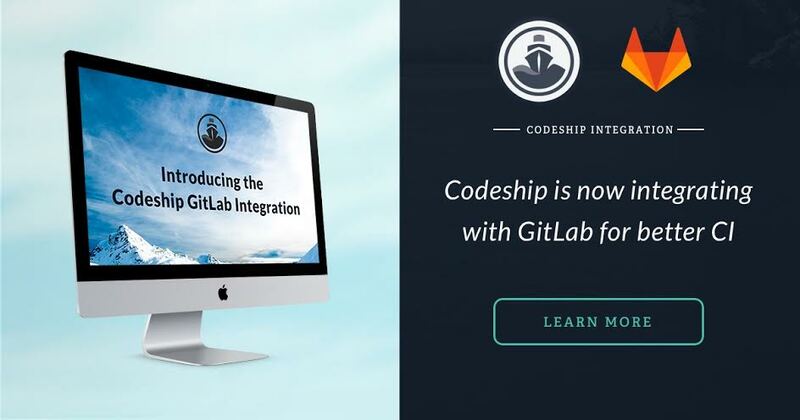 Codeship is proud to announce that we now offer a GitLab integration! Users can connect their GitLab repos to a Codeship account. Don’t be ashamed if placing puts (or p) statements throughout your code is your debugging style - Ruby and Rails core team member Aaron ‘tenderlove’ Patterson does it, and shows off a ton of great examples here. At RubyKaigi, Jonan Scheffler caught up with three of Ruby’s biggest names to talk about Ruby 3x3 and Ruby’s path to significantly improved performance. The journey of a developer who moved a React-powered app to Rails including why he decided to do it and how it worked out. A fun grab bag of interesting things (and their usage) in Ruby, from Hash#invert and IRB’s _ to unary operators and aliases. How many do you already know? Most devs don't enjoy the upgrade process...We have a gem on our team who absolutely loves doing it! Palm it off on us, we'll help you out. Web and mobile devs get all their favorite frameworks, languages, and tools in one cross-platform, polyglot IDE.